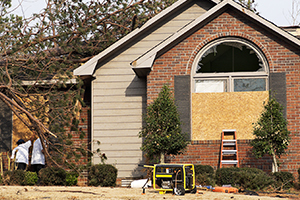 Fire, flood, or other disasters can leave your property vulnerable. To protect the valuables within your business or home from vandalism or the elements, it’s important to close any breeches in your structure. Hi-Tech Cleaning Services provides emergency board up services 24 hours a day, 7 days a week, and our response time is incredibly fast. Our rapid-response team can also work with your insurance company for billing. Contact us online 24/7 or call (914) 423-4600 to learn more about our emergency board up services, carpet & textiles care, specialty cleaning, stone and tile restoration, and our emergency damage removal services in Westchester County, Yonkers and the NYC Area.